iOS 10.1 public beta 2 is now available to download and install on compatible iPhone, iPad, and iPod touch devices. Here’s everything you need to know. 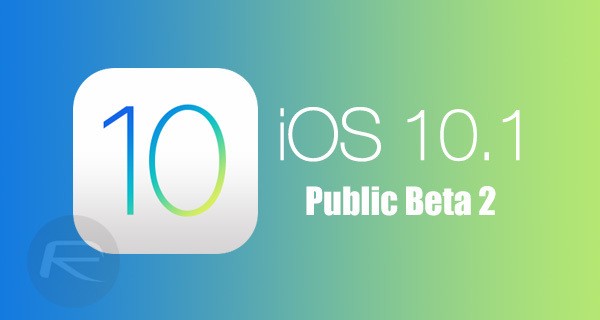 After first bringing registered developers in on the process with the release of iOS 10.1 beta 1 two weeks ago, followed by a public beta just a day later, the Cupertino-based company has done the same for beta 2 of iOS 10.1. The pre-release seed was released just yesterday to registered developers, and as expected has today made it available to those registered with the Apple Beta Software Program. One thing that Apple has always shown willingness to do is get as many people as possible testing out the latest firmware releases before it’s actually opened up to a wider public audience as part of an official release. That not only gives developers a chance to look at it from an app testing perspective and see that no breaking changes have been introduced, but also those registered on the public testing program to interact with feature additions and user-interface enhancements that will ultimately be put into the hands of millions of users on a global scale. With the launch of iOS 10.1 beta 1, we’ve already established that Apple has made the iPhone 7 Plus Portrait mode available that takes advantage of the dual-lens camera system on the device to create those beautiful shots with bokeh depth effects. From a major feature perspective there isn’t really much else to write home about, but with beta 2, Apple has taken the opportunity to make some minor amendments and user-interface tweaks that should all hopefully add up to offer an enhanced experience for device owners. As an example, the fantastic new Messages effects now work even in the presence of the Reduce Motion feature being active. On previous versions, activating Reduced Motion disabled those animations. There’s also a noticeable change to how information is presented to the user in the app drawer within the new revamped Messages app, as well as a the addition of a “Replay” button in a messaging conversation that is designed to allow an effect to be shown over again. The Messages app was one of Apple’s key area of focus with the release of iOS 10, with iOS 10.1 beta 2 clearly showing that attention is still being lavished onto this one section of the platform in the hope of getting it just right for device owners. 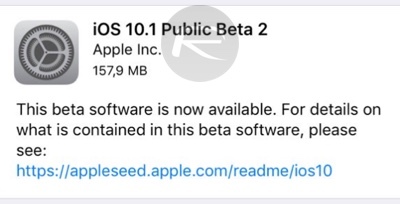 Those who are registered on Apple’s Beta Software Program are able to grab the latest pre-release version of iOS 10.1 right now from Settings > General > Software Update. For those who aren’t enrolled yet, head to beta.apple.com to get started. BS. It run circles around ANY smartphone, Tablet, PC in performance. Have you tried Nougat on a Nexus 4 or 5 or Galaxy 5 or 6 or 7? Oh, wait. Even just brand new Android devices won’t ever get Nougat or even 1 year old Marshmallow OS. On 5S the performance is very good!